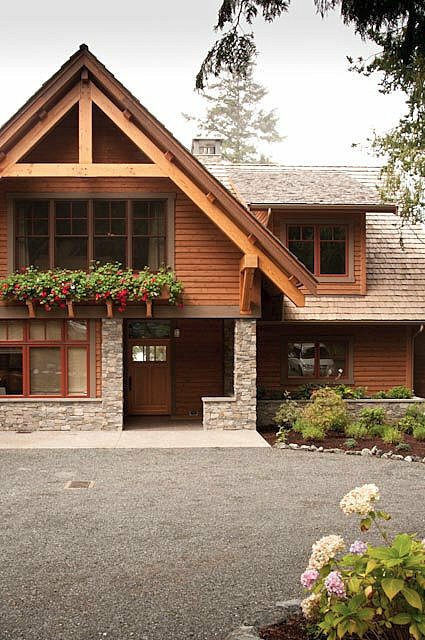 This timber frame and structural insulated panel (SIP) home was inspired by the great lodges of the Pacific Northwest. Notice the generous use of stone and timber, the grand interior spaces, and sheltered outdoor terraces for enjoying the views in all weather. 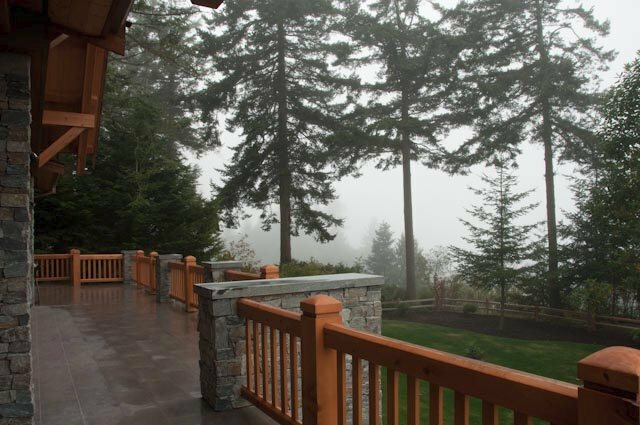 Seamless integration and attention to detail are evident in the custom timber work, masonry, entry gate, and railings. Design and craft complement each other in this fine home.